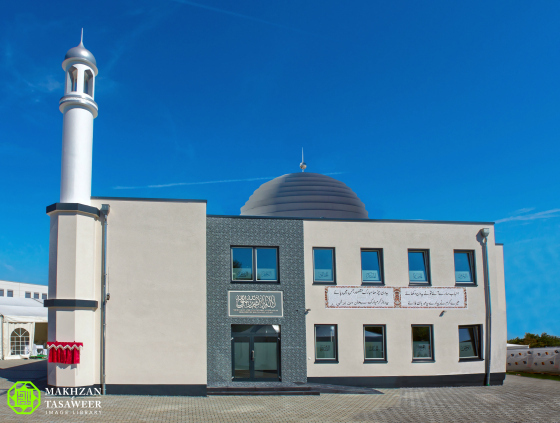 The Subhan Mosque inaugurated by Hazrat Mirza Masroor Ahmad. 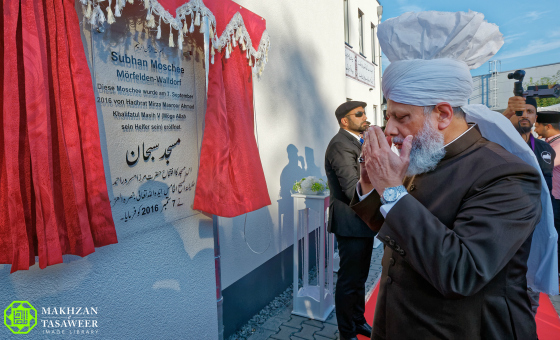 The Ahmadiyya Muslim Community is pleased to announce that on 6 September 2016, the World Head of the Ahmadiyya Muslim Community, the Fifth Khalifa (Caliph), His Holiness, Hazrat Mirza Masroor Ahmad inaugurated the Subhan Mosque (Mosque of Purity) in the German city of Morfelden-Walldorf. 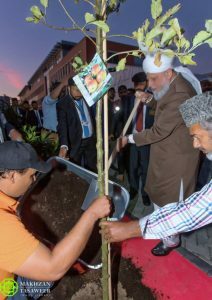 His Holiness then led the Zuhr and Asr prayers at the new Mosque and later planted a tree at the Mosque premises to further mark the occasion. Thereafter, a special reception, attended by around 150 dignitaries and guests, was held to mark the opening of the Mosque. Various dignitaries attended, including the Mayor of Morfelden-Walldorf. 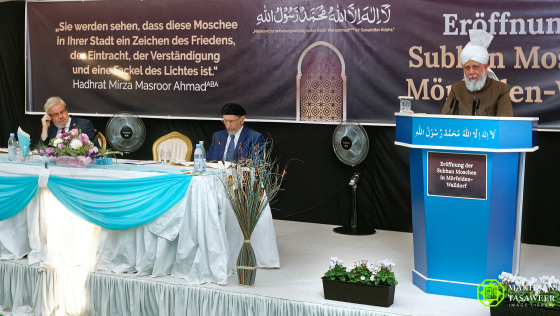 The National President of the Ahmadiyya Muslim Community Germany, Abdullah Wagishauser gave a welcome address, followed by comments from guest speakers. 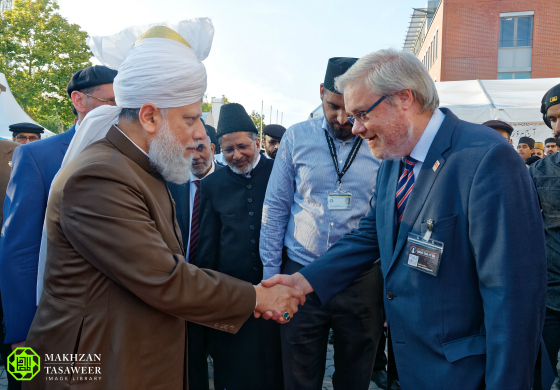 Thereafter, the keynote address was delivered by Hazrat Mirza Masroor Ahmad in which he addressed and explained various issues according to the teachings of Islam. 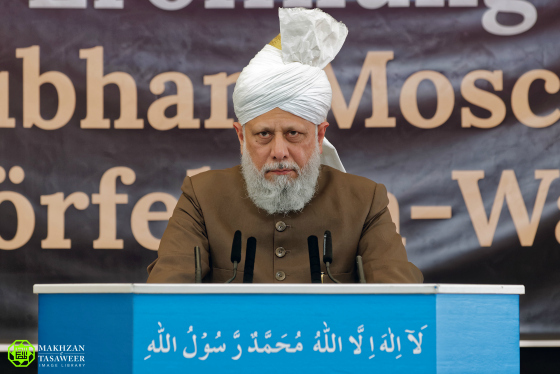 His Holiness said that the wars fought in early Islam were conducted for the sake of establishing universal religious freedom. The formal session concluded with a silent prayer led by His Holiness followed by dinner. 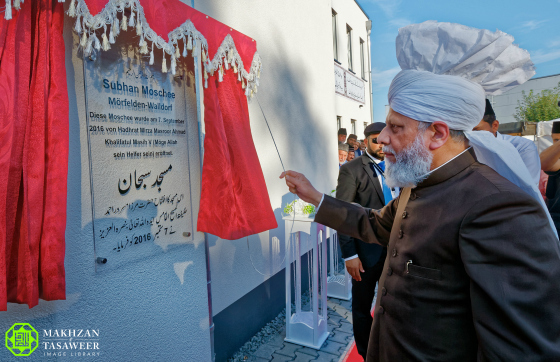 Share the post "New Ahmadiyya Mosque opened in Morfelden-Walldorf, Germany by Head of Ahmadiyya Muslim Community"